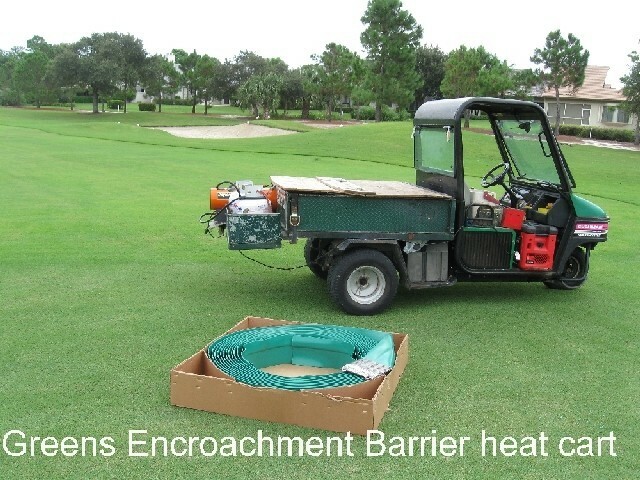 The Greens Encroachment Barrier has been installed throughout the USA, Europe, and Asia. 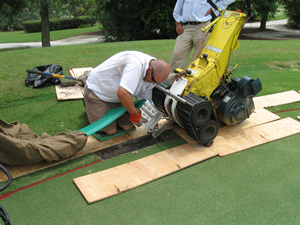 The System includes the PVC barrier material that is 8" in depth and installed just below the putting surface that creates a permanent "Barrier" to stop Rhizomes. The top 4" of the barrier has a molded separation that has a tulip shaped track to allow for the custom designed edgers to go through the track and cut encroaching Stolons. 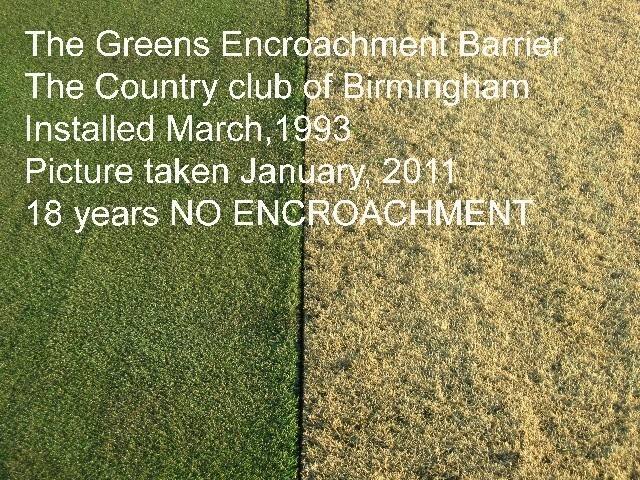 The Greens Barrier is installed by using patented pulling equipment 'The Line Ward'. The barrier is heated for flexibility installed in rolls up to 170' and fused together and buried with minimal cosmetic damage. 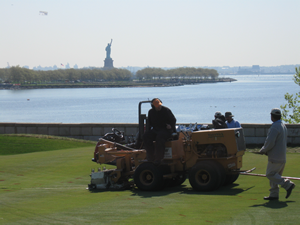 The installation process is 2-3 greens per work day and green is ready to play on immediately with only a cosmetic red marking paint line. 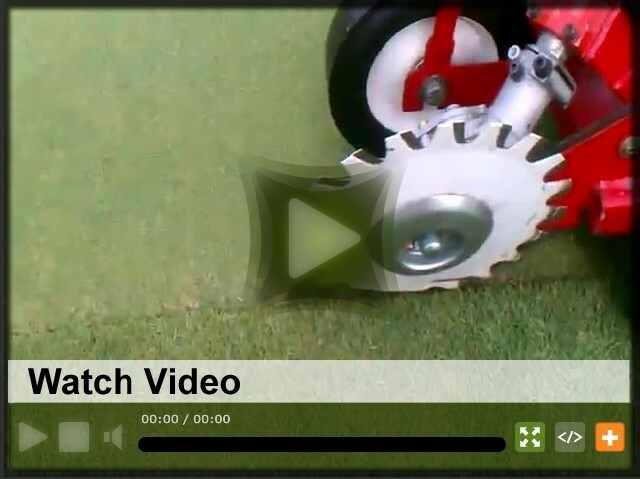 The edging process is a two-stage process, 1st run disc edger through to clear and open track then the reciprocator edger to cut stolons attempting to cross into the putting surface. If the edging process is done every week during growing months the results can be 100% clean, some hand pulling of stolons may be necessary if not done every week. 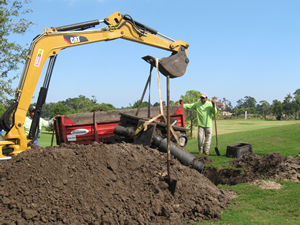 Track maintenance equipment is included to clean out, raise and or lower Barrier System.